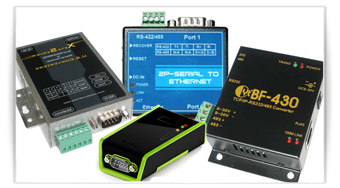 With more than 15 years of expertise in data communication, specializing in serial RS232, RS485, RS422 communication over Ethernet / LAN, USB and wireless solutions Tronicore offers a large selection of serial converters for industrial, commercial and consumer applications. 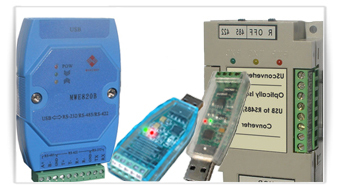 Tronicore is a manufacturer and authorized reseller of best-in-class serial communication converters from U.S. Converters, Moxa and Lantronix. 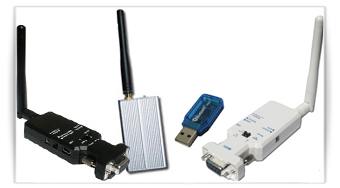 We have a large selection of USB to Serial adapters, Serial Wireless modules, Bluetooth serial adapters, RS232 to RS485 converters, WiFi and serial Ethernet Converters. 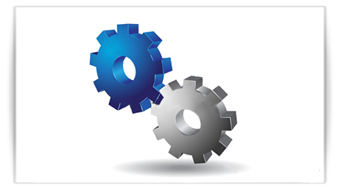 Regardless of which serial data communication challenge you have, we are ready to help you. 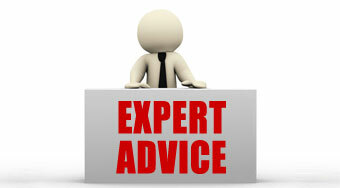 We have more than 15 years of experience in the field. What is a serial converter? 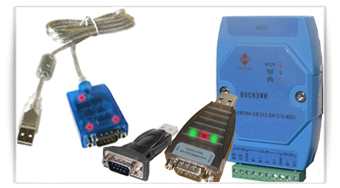 Well a serial converter is usually a small electronic device which can convert data signals such as a USB data stream into for example RS232 data or RS485 data. Many different types of serial converters exist so regardless of what kind of data you need to convert you can usually always find a converter which will suit your needs. 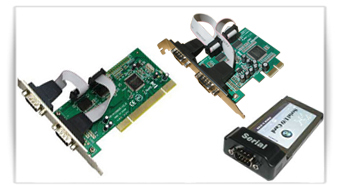 The size of a standard 1-port serial converter is usually the size of a pack of cigarettes or smaller, however industrial grade converters are usually larger due to the additional ruggedness these converters must have. 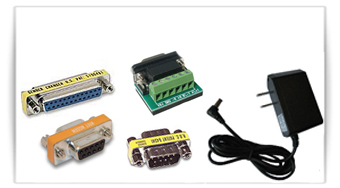 Serial converters are available with up to 64 serial ports or even more in some cases, however the most common size is 1 to 4 ports. 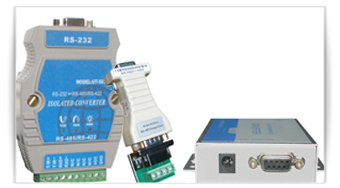 Some serial converters are isolated, meaning they isolate the two interfaces from each other; for example on a RS232 to RS485 converter the RS232 side is optically isolated from the RS485 side. This is done to protect the equipment connected to the converter from potential voltage spikes, surges or ground loops which can damage the converter and equipment. Isolation is mainly used in industrial environments or where voltage problems / static electricity is suspected. Some converters also has the power supply isolated from the rest of the converter; which is called triple isolation, or 3-way isolation.